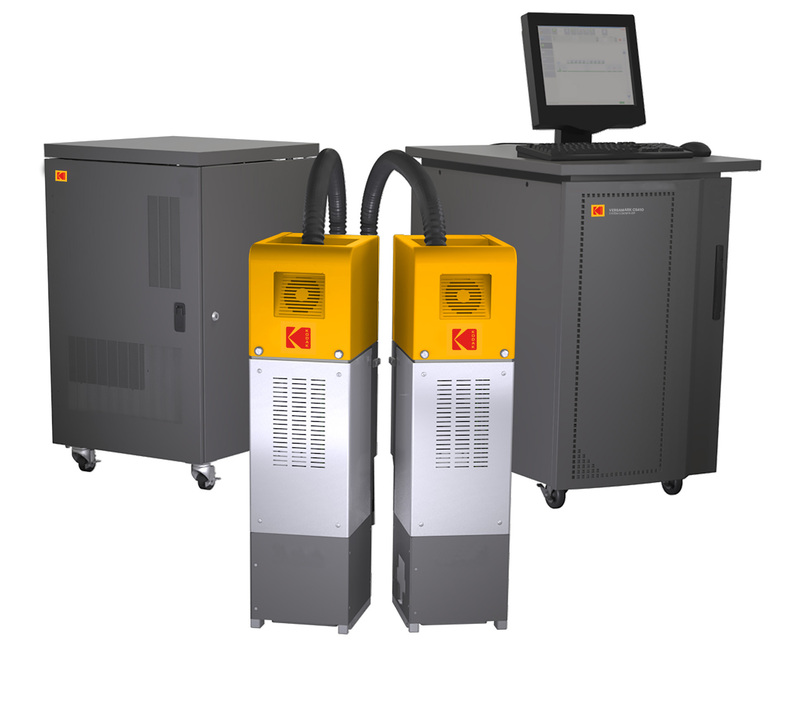 Kodak announces the introduction of the new Kodak PROSPER Plus Imprinting Solutions for the packaging industry. These solutions include four new imprinting components as well as food safe packaging inks and pre-coatings for folding cartons, food wraps, paper cups and plates, and ream wraps. The new PROSPER Plus models will expand the capabilities for printers to leverage continuous inkjet as a complimentary capability to the Kodak PROSPER 6000S Simplex Press and the Uteco SAPPHIRE EVO (flexible substrates) Web Fed Solution. The PROSPER Plus Imprinting Solution is the newest Kodak Stream Inkjet Technology component product line, developed based on Kodak PROSPER S-Series Imprinting Systems, which is designed for packaging and product decoration applications. 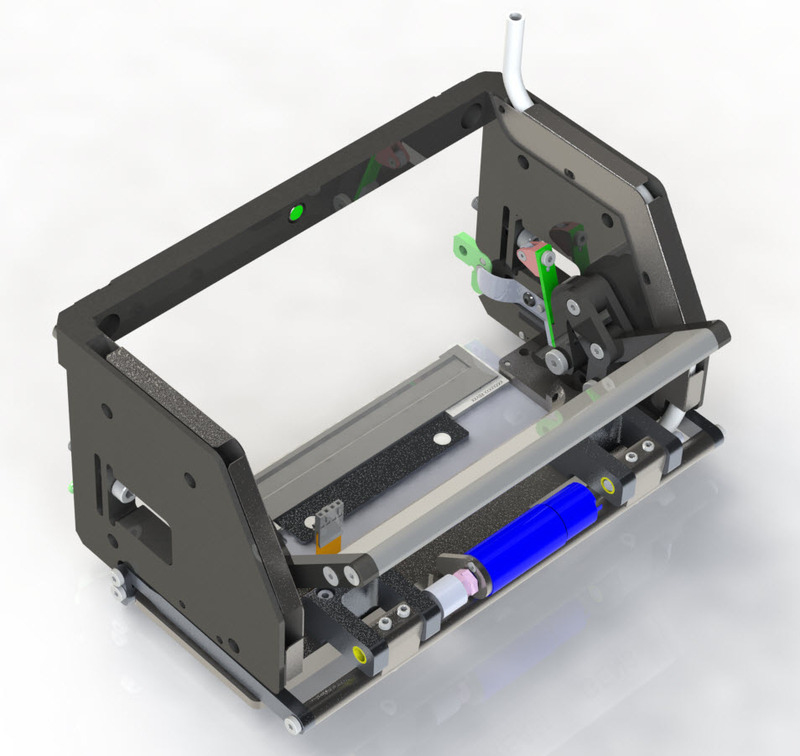 The four hardware products will include two narrow formats and two wider format models which will either print at speeds up to 260 mpm (850 fpm) or 600 mpm (2000 fpm) maximum. The narrow format design is a 105 mm (4.13 inches) single jetting module, perfect for imprinting barcodes, QR codes, promotional contest information or small format designs in either monochrome or four-color output. The wider format design is 210 mm (8.26 inches) dual stitched products which is ideal for corrugated, folding carton and label packaging applications that require full page printing or dynamic layouts. These components are capable of being mounted in-line with offset, flexo, or gravure presses, from Uteco or other equipment providers, or could be implemented in finishing lines such as folding/gluing systems providing the flexibility for digital to be incorporated throughout various existing printing operations. PROSPER Plus models feature new print modes with smaller drop size and higher resolution for faster drying and better quality. Kodak’s water-based inks are customer friendly and have passed US and European certifications for food safety, direct skin contact, and food service products. First demonstrated at drupa 2016 alongside Kodak’s expanded gamut ink set, Kodak’s Digital Varnish for packaging applications offers a unique combination of gloss and durability enhancement on folding cartons and related applications. This odorless, water-based digital varnish is formulated for indirect food contact compliance and is free of VOCs, mineral oils, and any unreacted UV-curable components. The Creative Freedom campaign is designed to educate and promote the use of digital printing in packaging applications. Printers and converters need flexibility and efficient production for shorter runs with economic and in-line and nearline technology implementation. Brands and creative agencies need ‘Greener products’, creative flexibility, and the ability to quickly drive ideas to market with design freedom. Kodak’s portfolio provides a combination of strong economics and design flexibility using the widest variety of substrates, without creative compromise. Additionally, Kodak has been working in close collaboration with industry leaders including Michelman to test compatibility of Kodak’s inks and technologies with various substrates such as PET, Nylon and polypropylene. The company has worked to pre-qualify existing flexible packaging solutions from key leading suppliers to assure the compatibility with commercially available adhesives, substrates, primer, Kodak’s inkjet inks, and flexo overvarnish and overprint. The combination of all these technologies will be delivered by the Uteco Sapphire EVO press using Kodak Stream Inkjet Technology, which will deliver solutions both for surface printing and reverse printing with lamination. The Sapphire EVO will provide brands and converters the ability to produce short, medium or long run digital flexible packaging. Adding to Kodak branded solutions for packaging, Uteco and Kodak continue to create hybrid digital solutions utilizing environmentally friendly water-based inks on flexible substrates without compromising on productivity or economics. Based on the successful reactions of customers and the industry to the SAPPHIREEVO Unit, Uteco Group has agreed to expand development efforts with Kodak being among the first to integrate KODAK ULTRASTREAM Inkjet Technology to drive new solutions in the future.